The meta description defines the description of a page in just one or two sentences and is shown in search engine result pages. Due to this it's a major driver behind your website's performance in search engine result pages. Keep its length between 430 pixels and 920 pixels (± 70 and 155 characters respectively). Make sure the meta description is easy to read and contains relevant keywords. Prevent duplicate content issues by making the meta description unique for every indexable page. 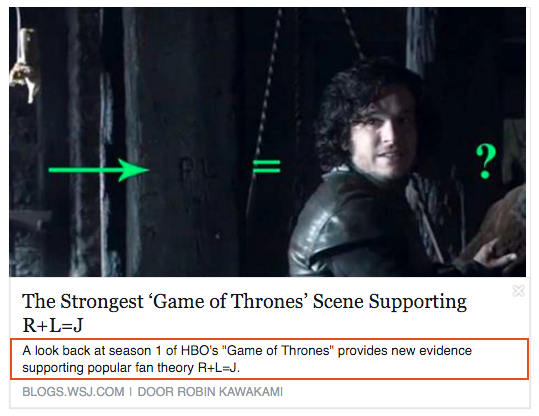 How do you write optimal Meta Descriptions? Why should you be using the Meta Description? How do you optimize the Meta Description for PDF files? The meta description defines the description of a page in just one or two sentences and is shown in search engine result pages. The meta description plays a big role within search engine marketing and deserves your attention. What properties does a Meta Description have? In most cases the lengths above work well for most devices for Google, Bing, Yahoo and DuckDuckGo. These lengths are however no guarantee that search engines display your meta description. In the end, that’s up to the search engines. Because of its relevance to SEO, the meta description is sometimes also called “seo description”. For the sake of ease when we refer to the meta description element we’ll call it meta description. Great readability - getting the point across even though there is so little space. Relevant keywords - use the most relevant keywords for each page. Delivering the message - a meta description should convey benefits or USPs. Good length - a meta description should be between 70 - 155 characters (430 -920 pixels). Uniqueness - every meta description should be unique. Before we get into detail, let’s look at some examples first. Readability: Apple has thought about the most important keywords for this page. And they’ve been used in the meta description. Relevant keywords: the meta description is relevant for the search query. Delivering the message: the meta description contains a Call-To-Action (CTA), namely: “Buy online, or visit an Apple store today”. This is done well. Length: the length is good. It’s not too long and not too short. Uniqueness: good. This is the only page that contains this meta description. Delivering the message: not good. Their meta description is dull, and does not speak to the imagination of the users. Length: too short. The entire extra line is unused. The title for this page is not well written, but Footasylum’s meta description sure beats Nike.com’s. As with the title tag, the meta description should be written with the user in mind. For a user the meta description is a deciding factor in whether or not he clicks on your listing. Excessive use of punctuation characters such as dots (. ), commas (,), dashes (-) and pipes (|). Each page should have a relevant meta description which describes what people can expect on the page. Search engines often ignore irrelevant meta description and come up with a description of their own. You can however do your best to prevent this by defining relevant meta description. In order to this this, it’s important for you to know for each page what the most important keywords are. You can then query those keywords and see if your manually crafted meta description is used or not. If it’s not used, you need to re-work your meta description. Search engines display the visitor’s query in bold within the URL, title and the description of the listing. This differs per search engine, Google only bolds keywords in the URL and description whereas Bing bolds keywords in the title as well. Bolding keywords is a way for Google and Bing to indicate the relevance between the search keywords and the results, therefore it’s important to use the most important keywords in the description. Using the most important keywords in the meta description not directly influences your rankings, although it has an interesting indirect impact: when visitors see bolded keywords in results they tend to click on those results more. This increases your click through rate (CTR), which in turns plays a role in determining the rank for your page. A high CTR is seen by search engines as a signal that a page is very relevant for a query. Please note that search engines can be stubborn. Regardless of the changes you make sometimes they’ll ignore your meta description. If that happens, just change the meta description from time to time and see if it gets picked up by search engines. Visitors need encouragement for them to convert. Often it’s as simple as asking them to take action. On websites this is usually done with micro-copy and buttons that stand out and contain a message that influence a visitor to buy a product, send an e-mail or leave their phone number. When it comes to meta descriptions it’s important to ask a visitor to take action. Take another look at the Apple iPad 4 mini example: “Buy online, or visit an Apple store today”. People are told to buy the iPad 4 online, or either go to a physical store to make the purchase. Today. That’s a pretty good CTA right there. Incorporating a CTA is one, but it’s just as important to communicate why a user should a visitor should take action. In Apple’s example this is supported by stating that the iPad mini 4 is available in Silver, Gold or Space Grey, and that you can also choose for different storage sizes. Apple communicates the benefit of choice here. As with the title tag, there’s no perfect length for the meta description either. The same parameters play a role: there are different search engines, different operating systems and different devices. And if your meta description is not too long or too short, there’s still no guarantee the search engines displays it. Don’t panic though, below we explain how you improve your chances of search engines using your meta description in the SERPs. Regardless of the search engine, in each SERP there’s limited amount of space for the meta description. Search engines Bing, Yahoo and DuckDuckGo advise to use a maximum amount of characters. Google however advises to use a maximum amount of pixels. This makes sense considering this is more accurate than characters. For instance, it takes into consideration that a character such as “P” takes up much more space than “l”. A listing in Google’s SERPs has a maximum width of 600 pixels. The meta description takes up four lines in the search engine listing, so in theory you have 2,400 pixels of space. Taking into account bolding of keywords, the fact that Google rarely (if at all) let us use these 2.400 pixels and some margin of error, we advise you to stick to a maximum length of 920 pixels. This generally translates to 155 characters. Make sure your meta descriptions aren’t too short either! In this case, Google may produce a description of their own. In order to prevent this as much as possible, make sure your meta description tag is at least 70 characters, or 430 pixels long. Please note that Google’s tablet and mobile versions have a greater maximum width for the meta description, however it’s not possible to set specific meta descriptions for different devices, so we recommend to stick to the maximum width for desktop to make sure the meta description adheres to Google’s constraints as much as possible. Bing,Yahoo and DuckDuckGo don’t have different rules per device regarding the maximum length of the meta description. Bing advises to use a maximum meta description length of 160 characters. Our own research has shown that meta descriptions with 160 or more characters are often cut-off in Bing, so we advise to keep it to a maximum of 155 characters when you’re optimizing for Bing specifically. Our advice regarding the minimum amount of characters for Bing is: 70 characters. Yahoo does not give much advice in their Help section about the minimum and maximum length of the meta description. Our own research has shown that the Yahoo SERP allows for a maximum width of 553 pixels. Since the meta description consists of two lines, this roughly translates to 160 characters. However, we haven’t seen this full width being used, nor have we seen meta descriptions with this many characters being displayed. In practice a significant amount of meta descriptions tags above 150 characters are truncated so we advise you to stick to a maximum amount of 150 characters. Regarding the minimum amount of characters, our advice for Yahoo is: 70 characters. Although DuckDuckGo is not very informative about their advice on how to optimize pages for their search engine, our research has shown that when you stick to a maximum of 155 characters you should be safe. Our advice regarding the minimum amount of characters for DuckDuckGo is: 70 characters. In order for search engines and users to be able to distinguish between pages, it’s vital that each indexable page has a unique meta description. Both search engines and users may think that pages are duplicates of one another if they contain the same meta description. For search engines, having duplicate meta descriptions is a signal that these pages may be duplicate pages and should therefore not be included in the search results. The meta description is essentially your sales pitch. You need it to be great. The meta descriptions plays a major role in a visitor decision to choose which result to click on. Meta descriptions are prominently shown in SERPs and play a big role within Search Engine Optimization. Search engines track the amount of users that click on your listing in the SERPs. When a lot of visitors click through to your website from the SERP your rankings may improve over time. When it comes to meta descriptions the interests of search engines and users are very much aligned. If the written meta descriptions works well for users, the benefits from a search engine optimization point of view follow naturally. Meta descriptions heavily influence click-through-rates (CTRs - the percentage of people clicking on your listing) of a listing. The meta description is essentially your sales pitch, comparable with advertisement descriptions in Google AdWords. When the meta description is missing, too long or too short, search engines may produce a description of their own. Often this is sub-optimal, as you want it to look as well as possible to entice people to visit your website. In order to drive traffic from social media it’s vital to use social media markup such as for instance Facebook’s Open Graph and Twitter’s Twitter Cards. This markup is used to retrieve information such as the title, description and images which should be shown on social media. Carefully choosing what social media platforms show when your page is shared leads to more visitors. If social media markup is missing, the meta description is often used as the fall-back. So if you’re unable to use social media markup, having a great meta description helps drive traffic from social media. Who wouldn’t want to click on after reading the description below? Open the PDF file with Adobe Reader Pro. Search for the field Subject and define the meta description there. Please note that there’s no easy way to define the meta description on Mac OS. There are third party tools out there which do the trick. Does having fancy characters in my Meta Descriptions increase my CTR? Should I manually define all of my Meta Descriptions? I updated my Meta Description, why are the search engines still showing the old one? Can search engines choose to show the description from the DMOZ or Yahoo Directory? 1. How long should my Meta Description be? In most cases these lengths are valid for most devices for Google. These lengths are however no guarantee that search engines display your meta description. In the end, that’s up to the search engines to decide, but you can influence this by applying the best practices around writing meta descriptions. 2. Does having fancy characters in my Meta Descriptions increase my CTR? There’s a reason why you see them rarely: search engines don’t like them. Avoid stuffing your meta descriptions with special characters such as stars (☆), copyright symbol (©), registered trademark icon (®) or trademark (™) and such. Even excessively using regular special characters such as dashes (-), pipes (|) or commas (,) can trigger your manually defined meta descriptions not to be shown. 3. Should I manually define all of my Meta Descriptions? That depends. In the perfect world, each and every page within your website has a manually crafted meta description. For a website with a hundred pages this isn’t an issue, but for e-commerce websites with thousands of pages this is a full-time job, and the return on this huge investment over using generated meta descriptions is very uncertain. Define manual meta descriptions where you can really make them count. Determine which pages are most important to you, and define manual meta descriptions for these. Criteria which help here are: potential revenue, potential organic traffic, the degree in which these pages are vital to your website (homepage, product category page, hubpages etc.). Meta descriptions are often generated for product pages and blog archive pages (category, author, tags, date) and so on. Make sure to write a good template which adheres to the general guidelines. In most cases Pareto’s principle applies: 20% of the pages make up 80% the organic traffic. 4. I updated my Meta Description, why are the search engines still showing the old one? Chances are search engines haven’t visited your page yet since you’ve made changes to your meta description. Search engines need a bit of time to re-visit your page and process all the changes. You wonder how long that’ll take right? This varies per page. Authoritative pages and frequently updated pages are visited more often than less authoritative pages and less frequently updated pages. Search engines may pick up on the new meta description within 2 minutes but it may also take several days or even more than a week. 5. Can search engines choose to show the description from Yahoo! Directory? Enter your domain name and quickly check if your meta descriptions are correctly set!